Those of you who are on the Test of Honour Facebook page are going to know that this is an area I post a lot of stuff. Okay, I probably live in that area to be fair, but when a game is played in an era you really enjoy from many different points of view it’s easy to get involved. As a player, I’ve been really lucky that Graham and Andy have allowed me to get so involved and being asked recently to help write rules for the upcoming sets this year has been a huge honour that I’m thankful for. Some of you may ahve even read a few of the pieces I’ve written about Test of Honour on TTGUK as well. Test of Honour gives us a huge range of Models and options to play with but many may say it lacks more options. People often look at other game systems and how a single profile can be equipped with an array of equipment in many different configurations. So I thought why not sit down with some of the ideas I have and make them into new ideas that people can use. So these are the ones to date. The thing from the off for people to please remember is that these aren’t official Warlord cards or stats. This is me looking at what the game has and wondering how I could allow people to use the sets already produced in a different way. I don’t feel myself that the game lacks these profiles, it’s more the thought of how about this. On this link, you’ll find a PDF with all the cards, huge thanks to Sandy “Sithlord” Thompson for knowing these up. They really help people get into the game. If there is enough interest in these profiles I will certainly look to add more in the future. But let’s discuss a few of the ideas. 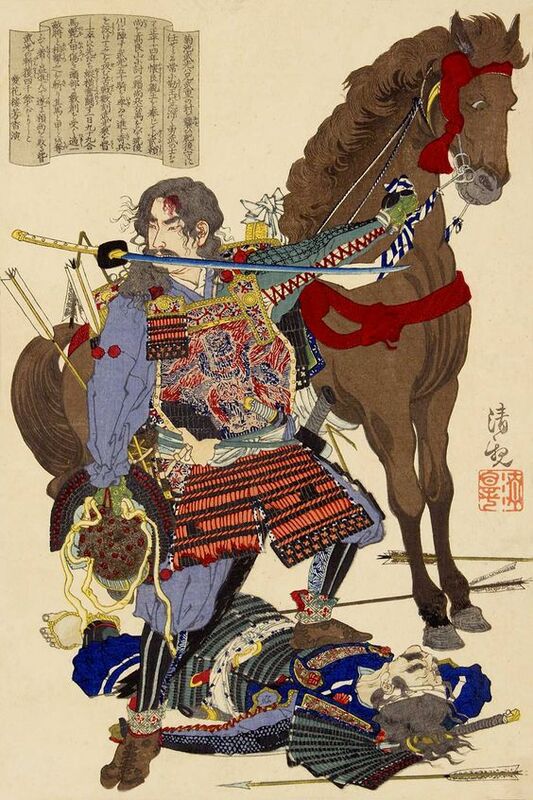 Although a lot of your force could be taken up with Samurai the options could be seen a listed limited and this is down to how people term the words Samurai and Commoner. Why is he a samurai he’s not he’s something else? The game uses abstract terms to classify the models in play. Samurai are those capable of using fate cards, Commoner are those who can’t. It doesn’t mean that a person is from the samurai class, they could be Sohei, Ninja or anything else added to the game. So with that in mind, the additions I thought might be fun were a Young Samurai, capable of using Fate, but still not a good fighter. The Weapon School Master gives people the chance to have battles between different schools and in the Commoners I created a student profile for the same reason. The skilled Samurai is just me playing around with the alternative rules for profiles. The profile I’ve had the most fun playing with is the samurai group. 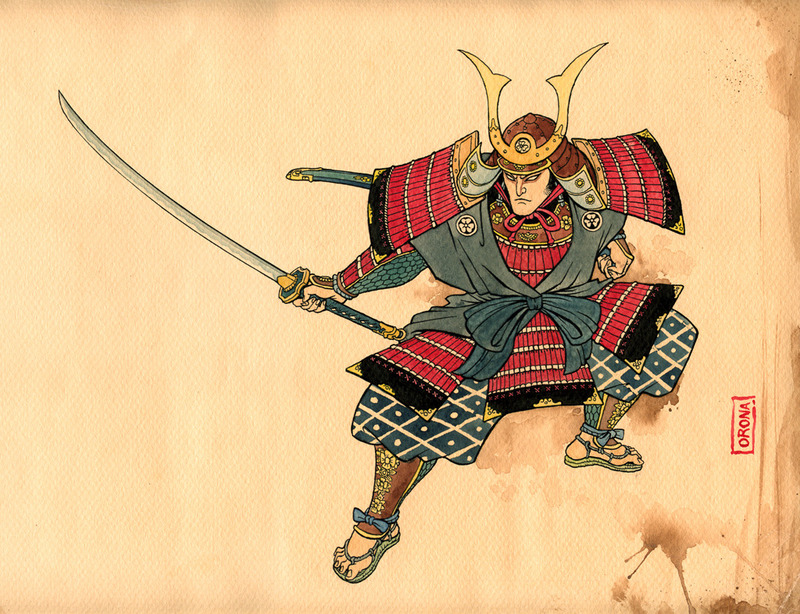 Low-level Samurai who don’t gain access to Fate cards but pack a decent punch in combat. I’ve found they work well if you need to just break the line or really hold something. The Commoners are the largest group of profiles that the game has on offer. So with the sets, we have to hand it gave me huge scope to be able to flesh a few of the units out. So what I initially did was add simple profiles along the lines of what we had. Spearmen for the Paupers, Naganita equipped Ashigaru. I also added Veteran Profiles, this would represent units that had seen repeated campaigns and the changes reflected this fact. New group wise I added the Command Group a slightly cheaper way to get the various options into one location and to perhaps give them a bit more protection. Though you do lose out on activations. 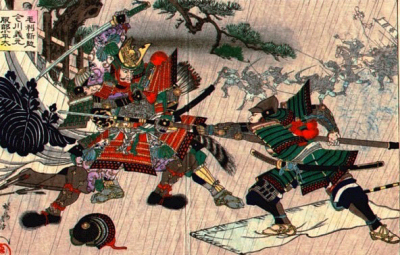 The Ashigaru Hero is the first commoner to have multiple actions. He’s my nod to all those battlefield commanders who really have come up from the bottom and may never get the chance to go higher. They may also not want to either. The Final model added was the Yamabushi a field medic capable of keeping injured troops in battle a little longer. Though this wasn’t there Historical role, I thought their style worked well. Model wise I suggest an unarmoured model carrying a bag of some sort. As always feedback is great and I look forward to seeing reports of the models in action. As an extension to your Samurai group idea I’m thinking about a last ditch samurai defence option where two or three samurai, previously fighting as individuals, join into a group. You might want to do this if one or two were wounded. Imagine this as them fighting back to back against a crowd of foes. The conditions for this would have to be quite restricting, for example, all remaining Commoners flee.